Every woman has had this experience: you get to the end of the day and realize you did nothing for you. And if you go days, weeks, or even months in this cycle, you begin to feel like you have lost a bit of yourself. While life is busy with a litany of must-dos--work, parenting, keeping house, grocery shopping, laundry and on and on--women do not have to push their own needs aside. Yet this is often what happens. There's just no time, right? Wrong. In this practical and liberating book, Jessica Turner empowers women to take back pockets of time they already have in their day in order to practice self-care and do the things they love. Turner uses her own experiences and those of women across the country to teach readers how to balance their many responsibilities while still taking time to invest in themselves. She also addresses barriers to this lifestyle, such as comparison and guilt, and demonstrates how eliminating these feelings and making changes to one's schedule will make the reader a better wife, mother, and friend. 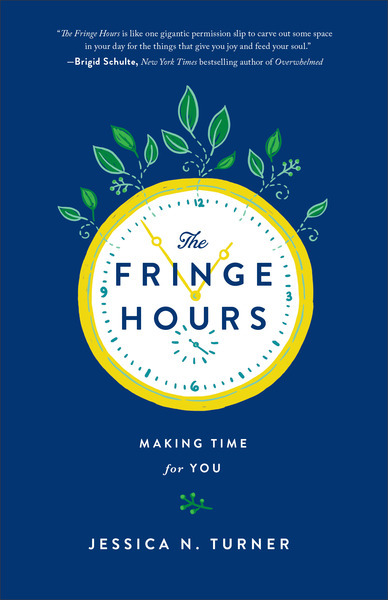 Perfect for any woman who is doing everything for everyone--except herself--The Fringe Hours is ideal for both individuals and small group use.